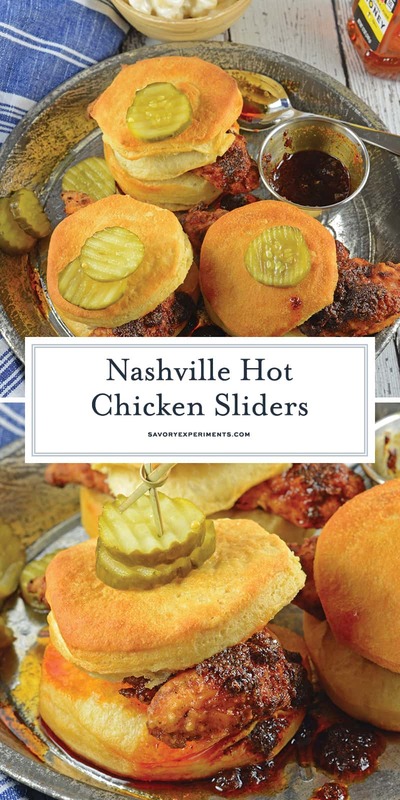 Nashville Hot Chicken Sliders are a budding food trend, especially since KFC Nashville Hot Chicken flew onto the scene (which I’ve never had, but hear it is actually pretty good for fast food). 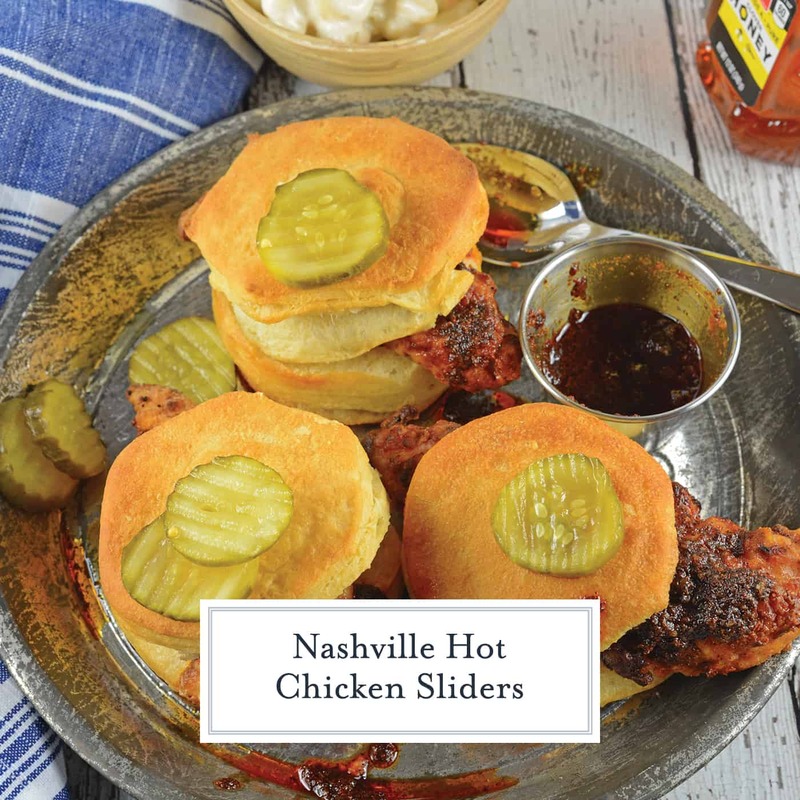 Nashville Hot Chicken Sliders are perfect as a dinner, snack or appetizer. 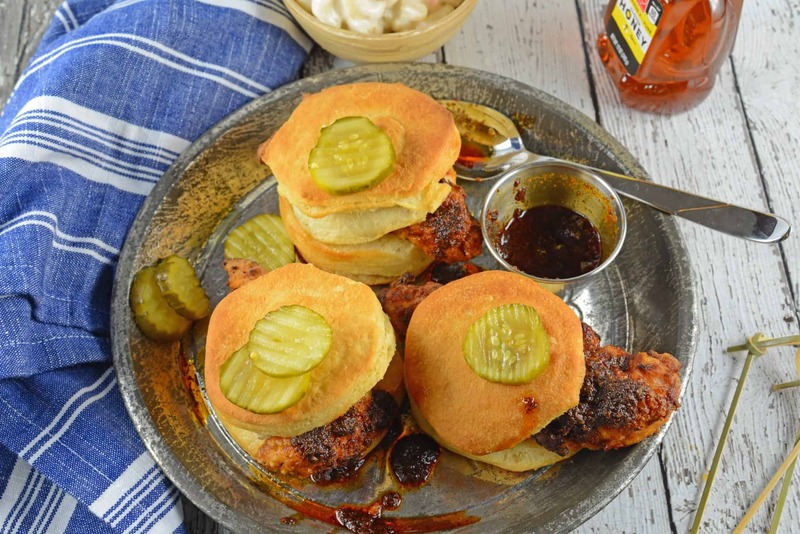 Crispy fried chicken dredged in spicy hot sauce served on buttery buttermilk biscuits with sweet and spicy pickles. Well before that ever happened, this spicy sauce was already super popular as a regional classic. 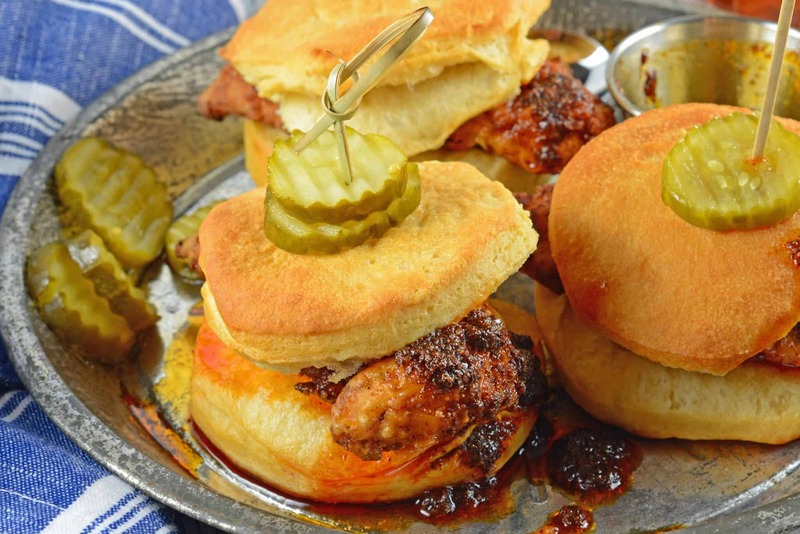 Recipes and preparation for Nashville Hot Chicken Sliders vary from restaurant to restaurant and there are even Nashville Hot Chicken competitions! 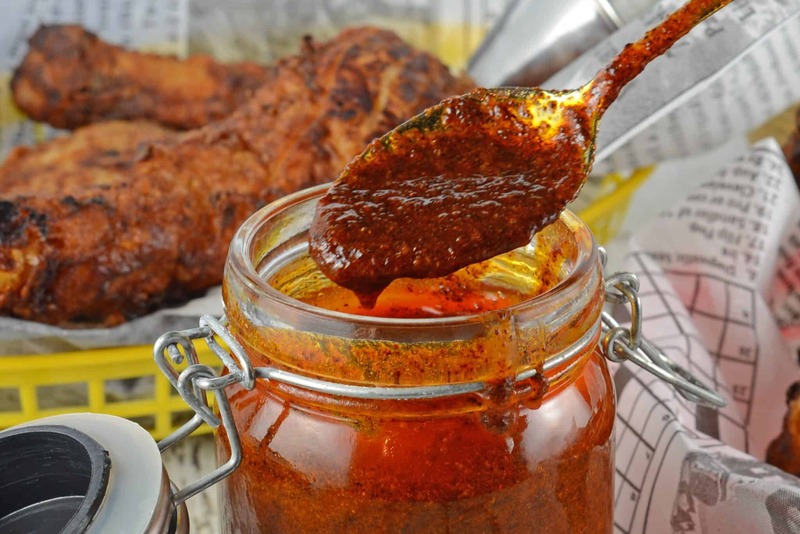 Like other regional classics, everyone thinks they have “the best” or there is a “right way” to make the thick hot sauce, but since everyone’s recipe is different, how can that be true? One thing does stay the same: cayenne pepper and heat. Hubby and I try to get to Nashville at least once a year. It is a quick flight from Baltimore, we stay right on music row and enjoy a weekend of live music and fabulous food. Jack’s Bar-B-Que and Monell’s are two we always hit up, but we also like sampling Nashville Hot Chicken in our travels around the city. I highly recommend it for a weekend trip even if you aren’t huge country music fans. As long as you appriciate live music, there is something for you! Also, don’t be afraid to go off the beaten, tourist, path. Ask the bartenders for their local favorites and chances are you might even see some famous familiar faces as the hole-in-the-wall local dive bars. 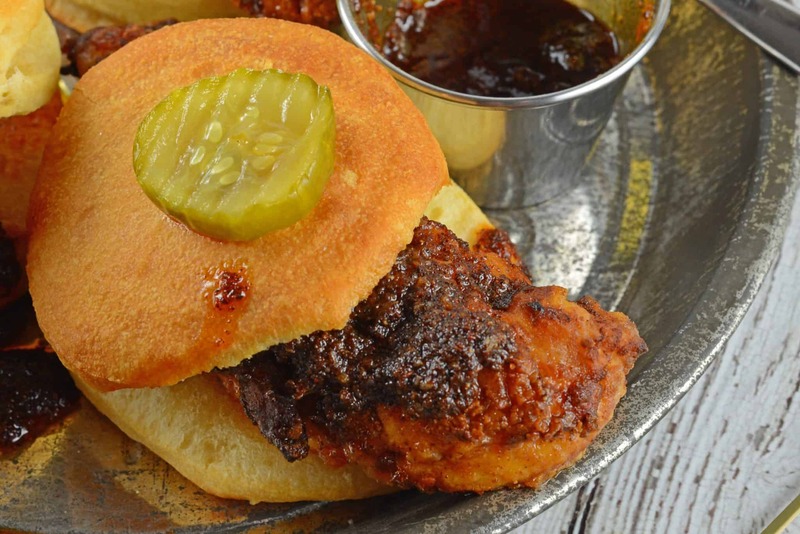 Nashville Hot Chicken is typically served with plain white bread sandwich and pickles. While this is great and traditional, what kind of food blogger would I be if I didn’t put my own spin on it? While I love white bread and plain bread and butter pickles, I also adore buttermilk biscuits. Soft, fluffy and a little sweet, they complement crispy fried chicken spicy Nashville Hot Sauce perfectly. 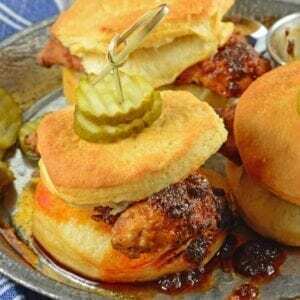 Biscuits also happen to be the ideal shape and size for sliders and hearty enough to hold up to the sometimes heavy ingredients. Typically pickles come on the side, but for my Nashville Hot Chicken Sliders, I used my honey habanero pickles. Again, sweet and spicy pairs perfectly with homemade Nashville Hot Sauce. While many nashville hot sauce recipes are made with a base of vegetable oil, I opted for clarified butter. 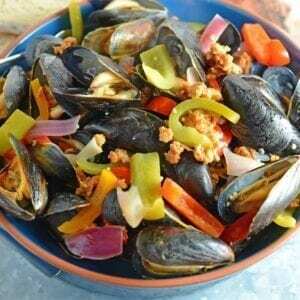 I think it adds a little flavor without being overpowering or causing a tummy ache. I kept having visions of taking shots of vegetable oil straight from the bottle. Gross. The additional step of clarifying butter takes a little time, but it well worth it. You can make a large batch, as it saves well and can even be frozen. Or you can even use store bought ghee, which are essentially the same thing, although it might have a slightly stronger and nuttier flavor. Not a bad thing in my book. Click HERE for my step-by-step instructions on making clarified butter. I also add a little more brown sugar than others do because the sweet and spicy flavor combination is one of my favorites! Really, you can omit or alter any of the amounts of any of the ingredients depending on your own taste. If you like making regional recipes at home, check these out! Check out even more slider recipes HERE in my 19+ Hawaiian slider roll recipe collection! Heat oil in large pan or cast iron skillet over medium-high heat. Combine flour, onion powder, sweet paprika, celery salt, and white pepper in a medium bowl. Dredge chicken strips in flour mixture and place into hot oil. Fry on each side for 4-5 minutes or until cooked through. Place into a large mixing bowl with prepared Nashville Hot Sauce, toss to cover. Place each chicken strip on a halved buttermilk biscuit with two honey habanero pickles each. Mayonnaise is optional. 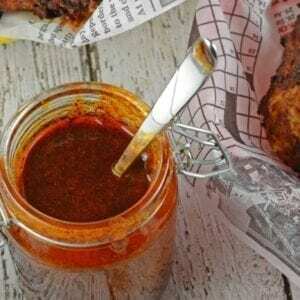 Love the homemade hot sauce and I would absolutely crush these! Oh, and Nashville is on my bucket list. Would LOVE to visit (huge fan of country music here).